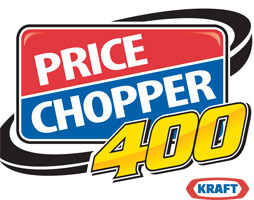 Watching the Price Chopper 400? Catch all the action here as he live blogs the race at Kansas Speedway. Martin leads Johnson by 18, Montoya by 51 and Stewart by 67. Gordon’s not going to do it. Gordon may… may… may… catch Stewart. Wow. Clipped off two tenths that lap. Hmm… four tires for everyone fourth on back. IN THE POINTS AS OF NOW MARK MARTIN WOULD BE LEADING!!!!! Wait… he was leading before this race? Wow, bad call by Knaus. The two tires are holding on for the moment, as only Montoya has made real progress, moving from 10th to fifth.